The annual charity fundraiser of Vision First will see the auction of an Untitled 2009 Series No. 6 print by Chen Yu. 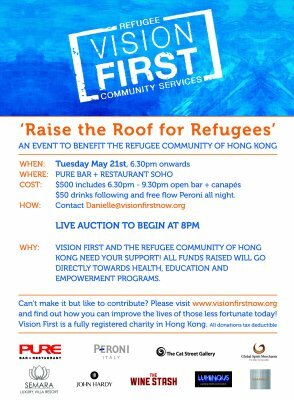 Vision First is a non-profit organisation in Hong Kong committed to provide best support for local refugees. Services including the provision of basic needs (food, shelter and medication), advocacy, counseling, vocational training and long- term accommodation.